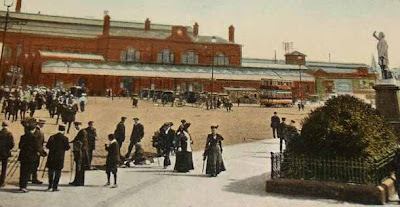 A lovely Edwardian view of the Boulevard, or Station Square / Station Road, as it was then known. Like the Church Street photo, it's very animated. The original image is a little larger than this, I've had to crop the ragged edges off, so lost a bit.